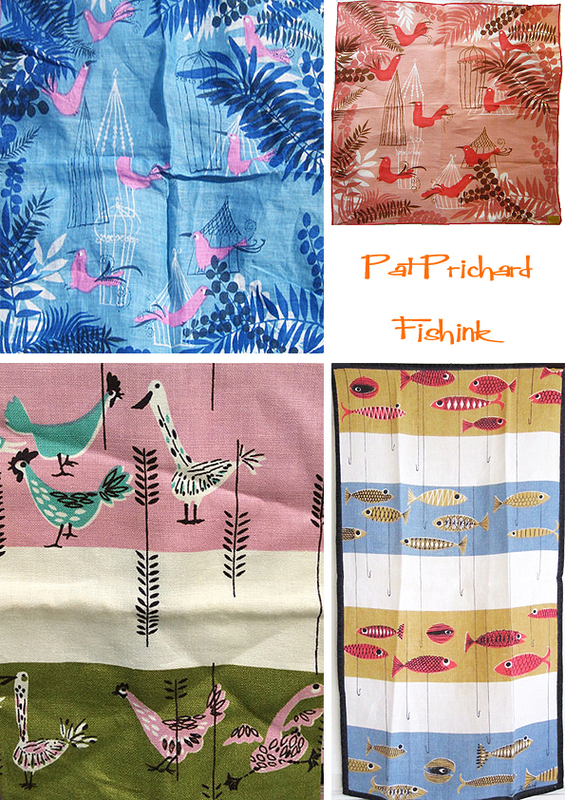 Welcome to part 1 of my feature about 50’s and 60’s textile illustrator Pat Prichard. Sadly there isn’t very much written on the internet about this inspirational lady, who like Tammis Keefe and Lois Long produced many (hundreds ?) of designs during her time as a creative. 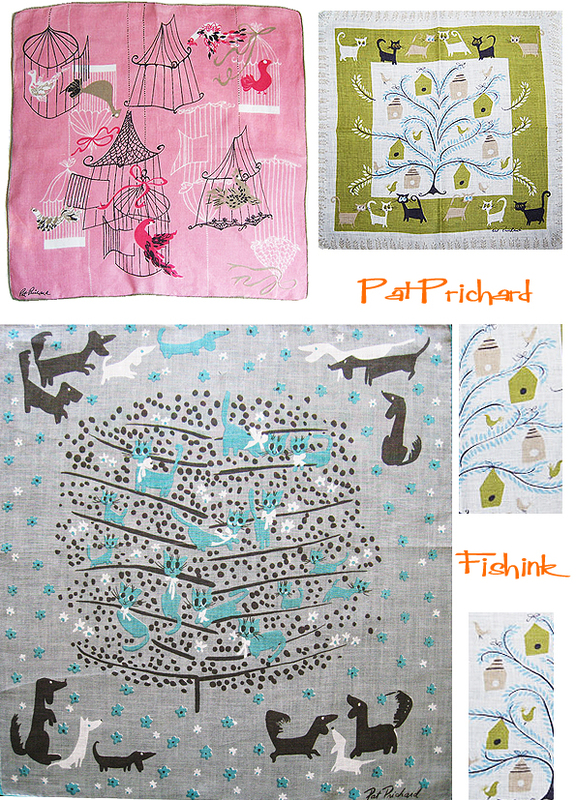 I find her bird and animal designs amongst some of my favourites. 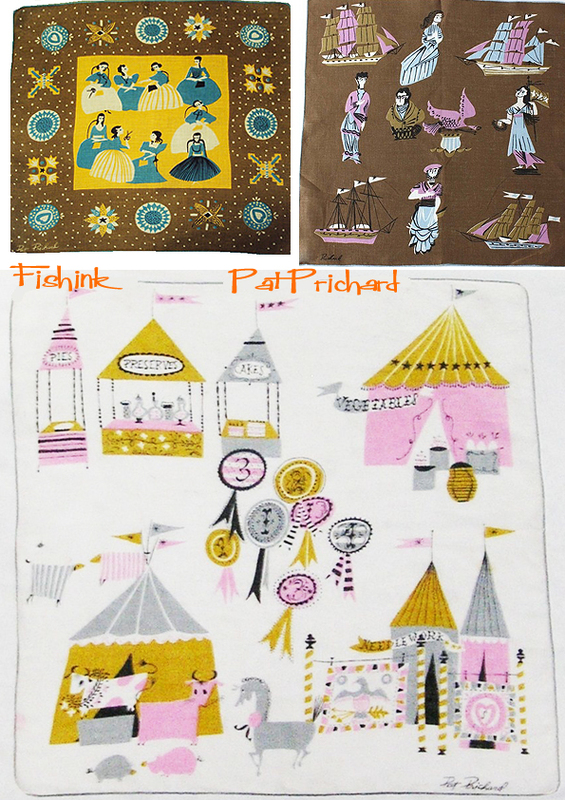 As with Tammis’s designs, Pat’s hankies were produced and marketed by J.H. Kimball & Co. 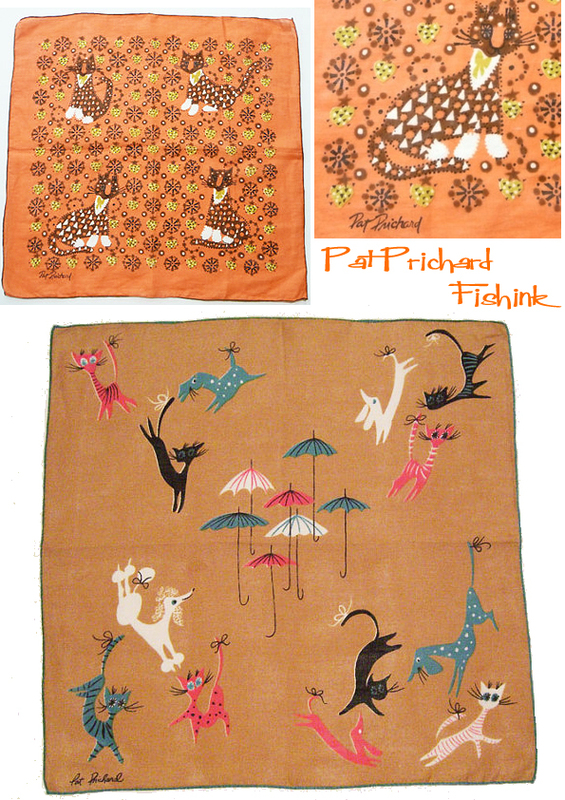 Some of her hankie designs were repeated in scarves also bearing her signature. 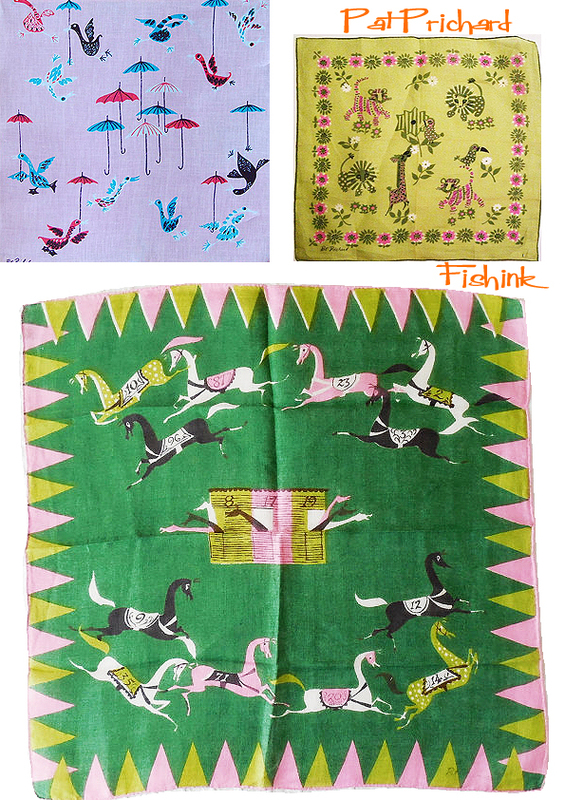 She also designed handkerchiefs for Franshaw. 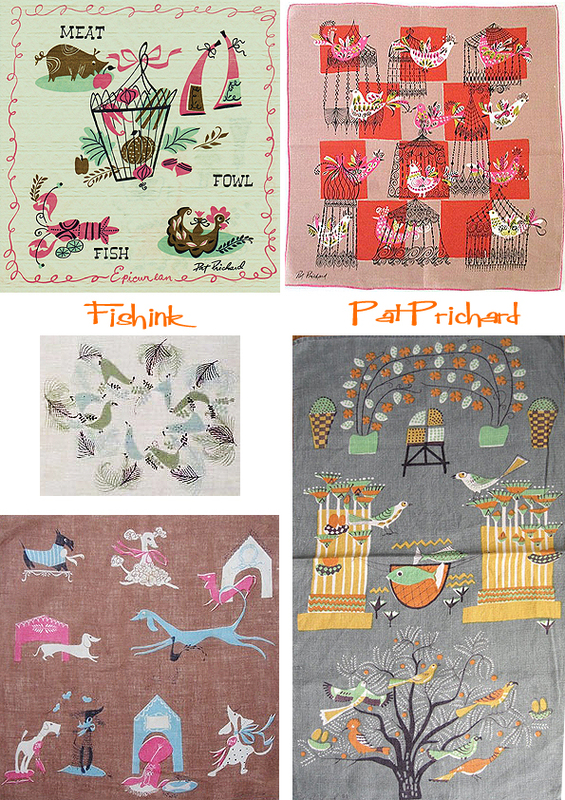 There’s a great article about Tammis Keefe over on the Making it Fun site, which gives more of an insight as to how these designer like Tammis worked during the mid century years. Don’t miss part 2 of Pat Prichard’s work here on friday. Wonderful post! I love the quote. Looking forward to Friday’s article and photos!